and benefits are backed by a solid 5-year weighbridge guarantee. Have you heard the latest news regarding the Rice Lake OTR truck scale? Now with an even higher 100,000 pound concentrated load capacity (CLC), Rice Lake’s SURVIVOR OTR truck scale has raised the bar yet again. This scale has always been known for its strength, performance and value. 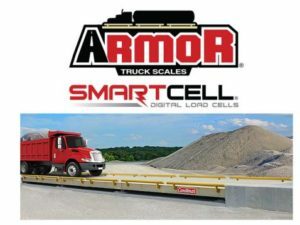 The above ground or pit-type SURVIVOR OTR, available in both steel and concrete deck, has long been the industry’s strongest weighbridge design, known for its tightly spaced wide flange i-beams and more steel per square inch. But now, this recent boost in overall capacity cements the OTR’s position in truck scale design. Rice Lake says, even as traffic climbs as high as 250 fully loaded trucks per day, expect no less than 25 years of solid service from any SURVIVOR OTR. 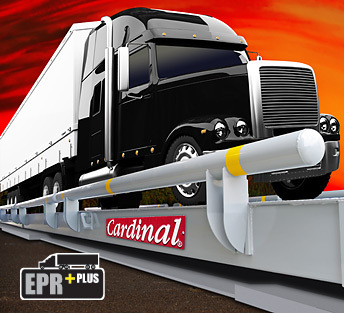 This celebrated weighbridge design combines convenient top access to load cells, a low profile for easy approaches, and self-setting connectors for quick installation and future expansion.